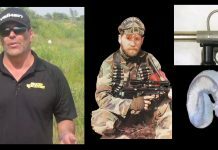 Kevin Donaldson and I filmed this short video interview about his friend and teammate, Jim Anderson, capt Bo Peep, back in 2012 at CPX. 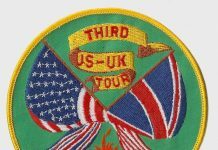 The 1991 Mayhem Games likely marked the first year that American teams were allowed to compete in the UK Mayhem Masters. 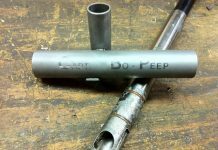 Tim @ PaintballTek removed the stuck Automag barrel from Bo Peep! 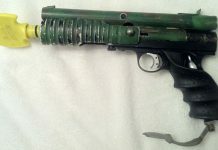 Tim Firpo saves the day once again by removing the stuck Automag barrel from Jim "Captain Bo Peep" Anderson's Automag. 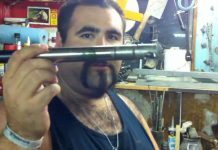 Tim Firpo, at Paintballtek.com helped me removed the barrel from the Bo Peep Automag using he technical expertise. 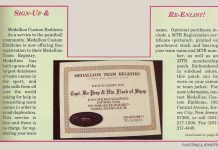 A scan from Paintball Sports International on the Medallion Team Registry. 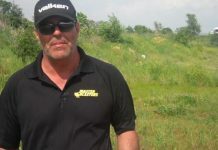 The example shows Bo Peep and his flock of sheep. A loaner nelspot 007 with a short change 12 gram changer. 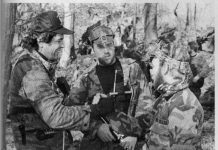 The short change is one innovation created by Jim Anderson of the Wild Geese/Master Blaster. 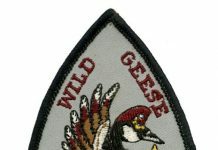 A patch from the well known team, the Wild Geese of the North East.